As you may have seen on Facebook, our traveling family of five recently purchased a home in beautiful San Miguel De Allende, Mexico! We fell in love with this place the first time we visited. 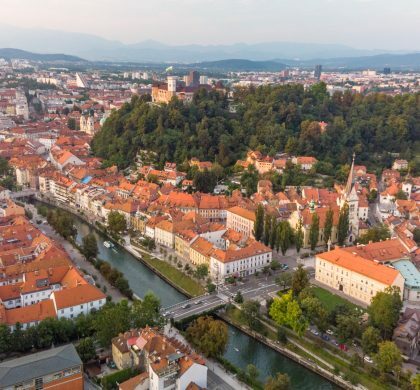 We love the culture, the growing worldschooling community, the many opportunities for our girls to take classes at reasonable prices, the eternal spring climate, and of course, the low cost of living in comparison to the U.S.
Purchasing a home in SMA doesn’t mean we are going to stop traveling. It means we have another home base that we can spend time in each year and rent out on Airbnb when we are not there. (We have a beautiful villa in Bali too!) Vacation rentals can be a great investment! Although we have been in our new home for a few months now, I haven’t written about it yet on PearceOnEarth. Why? Because most of my thoughts on home, travel, education, spirituality, and entrepreneurship have been pouring into my Weekly NOW email series. If you would like to join in the journey, I encourage you to sign up here. 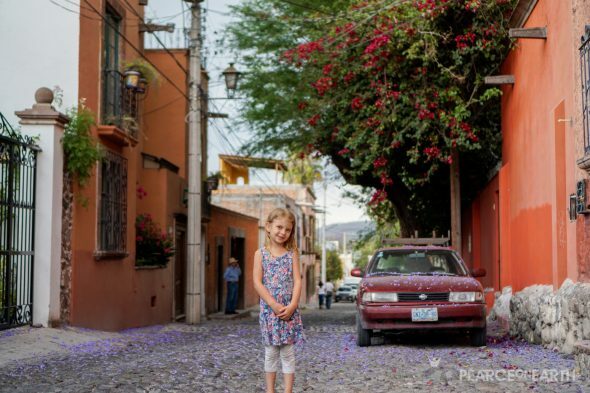 The following excerpts detail our journey to purchase our house in San Miguel and are taken from my Weekly NOW email series. We actually did it! We bought a house in Mexico! This traveling family is settling down for a while. 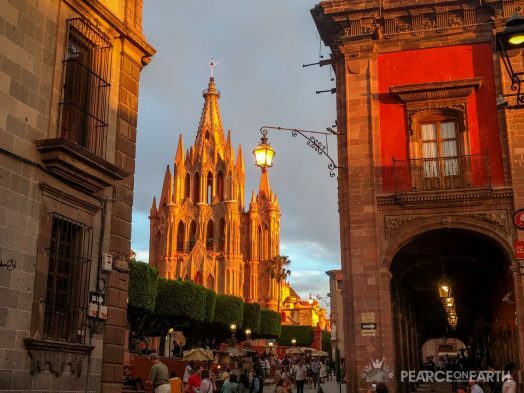 There is so much we love about San Miguel de Allende, that we knew we wanted to spend more time there. And while you can find reasonably priced long-term rentals, it’s more difficult to find a 3-4 bedroom place at a good price with good furnishings in a good area that is conducive to our family’s lifestyle. 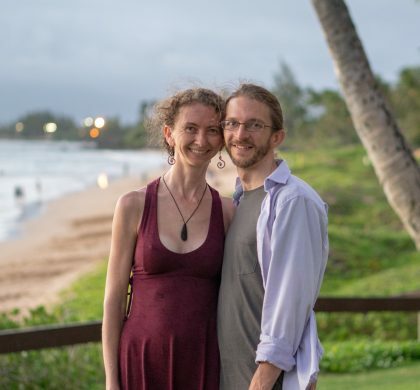 We also still want to travel (just less so this year), and we want a place we can rent out when we’re gone, rather than throwing the money away. Several other families we know are moving to San Miguel in the near future, too, so there’s going to be an even better community here than there is now. We’re excited to be planting some roots in such a great place. Lesson: Committing to one location has always been a challenge for us (as no place ticks every box), but it feels good to have made a decision to slow down a bit this year and focus on other things that are important to us. What areas in your life would benefit from more commitment and focus? 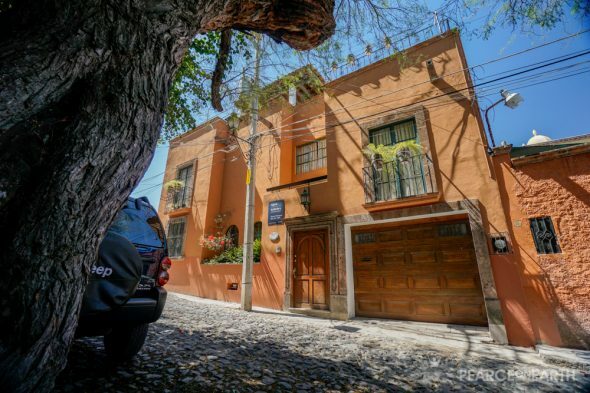 This week, we moved into our new house in San Miguel de Allende, Mexico! It feels so good to be “home” in a place of our own, and in a location that we love and are committing to. 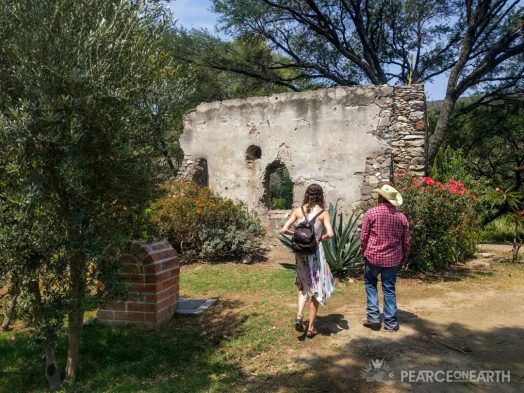 I’ve written a lot about San Miguel in my previous emails, and why I love it, but I just want to give you a peek today into our neighborhood. We’re in a residential area, but if I walk around the block, I see two restaurants (with wifi), a bakery, a paper supply store, a FedEx/DHL/printing office, a convenience store, an Aikido dojo, a jewelry store, a milk and cheese shop, and more – including dozens of residences with friendly neighbors. It’s so convenient! 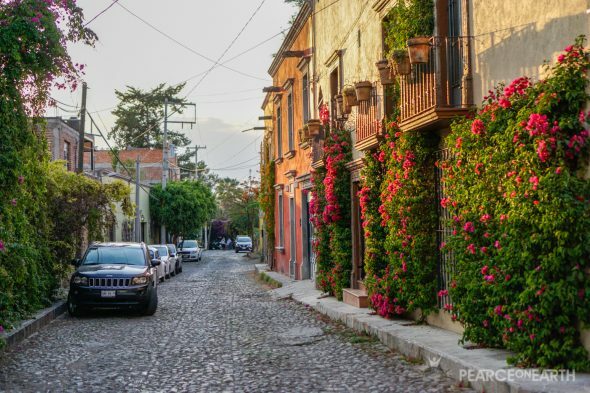 As you can see from the photo above, it has beautiful trees, flowers, cobblestone streets, and colorful houses. 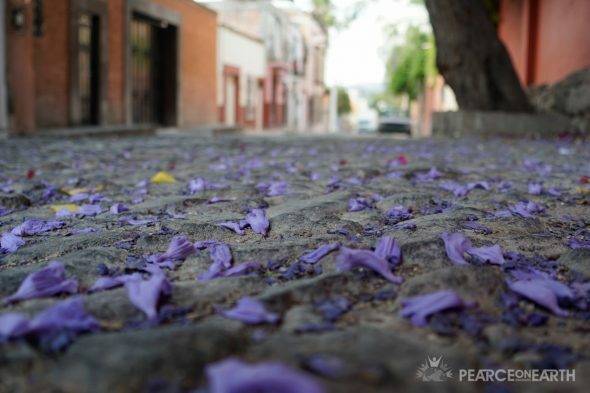 Right now, the jacaranda trees that dot the city are ending their bloom and dropping their purple flowers. Moving in and getting setup has been relatively painless, due to the house already being furnished with the basics. We were without Internet for 5 days, but now that it’s running, we have a blazing 80mbps connection (can go up to 100 on good days)! There are still a few plumbing and electric issues we’d like to fix, as well as a change in furnishing and decor, which will happen over time. But we’re really enjoying being here and settling in. Lesson: One of my favorite things about travel is the shifts in perspective and energy it brings. Every time we put ourselves in different circumstances, different feelings come along with it. And right now, we’re loving the feeling of settling into a home base (though we’ll still shake it up with a few trips this year). What feelings do you want to create next in your life? We’re enjoying having our own “home” again. Even though it’s sparsely furnished and has little art or decor, it’s ours and we’re looking forward to customizing it to suit our family’s tastes. This week I met with Gabriel, a Mexican angel who builds shelves, furniture, and more. We’re having him build some lockable storage in the garage, convert part of Emily’s wall closet into a desk, create shelving and drawers in the master bedroom closet, build cupboard doors to hide the TV, which he’ll mount on the wall, and many other things. (Custom furniture here can cost about the same as pre-made furniture). What surprised me is how much fun I’d have measuring and sketching the things he’ll be building to give him an idea of what I wanted. There was a lot I still wanted his input on, and his ideas enhanced mine significantly. But I’m realizing how much I enjoy working with skilled builders and designers to create functional and beautiful spaces. Lesson: I think I’m not great at design. I’m okay. But I love doing it! Especially with skilled help because the results end up even better, and I learn more in the process. What things do you enjoy, even if you’re not skilled at them? And what can you do this week to more fully enjoy those things? When we sold our house 8 years ago I swore that if I ever bought a house again, I would hire a property management company to run it, and then just live in it like I’m renting it from myself. Why? Because I’m not a handyman. I realized I don’t enjoy that type of work, and usually just hurt myself or break things when I try to do it. Fortunately, here in Mexico, we found a great company that takes care of all our house maintenance, does regular inspections, pays all our bills (some of which have to be paid in person), finds and schedules housekeepers, gardeners, and repair people, pays and trains staff, and arranges for anything else we need. And all for $125/month. This is well worth it to us, and they’re very responsive! They’ll even do shopping trips, and manage the house as a vacation rental when we’re ready for that, for a small extra fee. Talk about taking a load off! 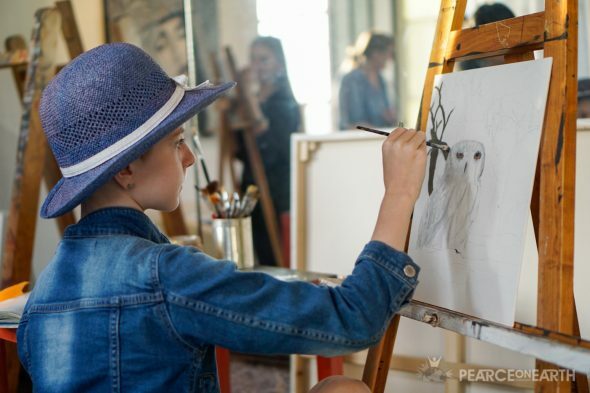 Lesson: Being aware of my skills and interests enables me to prioritize the things I’m best at and enjoy, and allows others to shine in their areas of expertise. What have you been doing (or putting off doing) yourself that you’re not so good at that you might consider getting some help with? We’re making some progress on getting our house looking like we want. 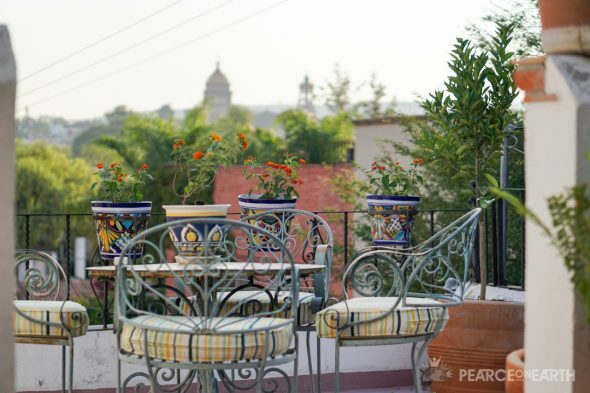 We have a small rooftop terrace and would like to fill it with potted plants and trees. We went with a gardener to a large nursery hidden away in the mountains surrounding San Miguel. There were hundreds of native plants and trees to choose from, all maintained naturally. We’re going to end up with some great fruit! Oranges, lemons, limes, grapefruit, olives, peaches, and maybe more. We’ll start with that. Next will come the flowers, herbs, and ground cover. Lesson: Our house is close to the center of the city and has no “yard” per se, but it’s great to know that we can still have a garden on the roof, as well as a gardener to help us take care of it. How can you make the most of the space you call home? Before we left San Miguel de Allende this week, we also had a few fun get-togethers with friends from the Worldschooling community. One was a barbecue at a friend’s house, and the other was at the Xote water park. 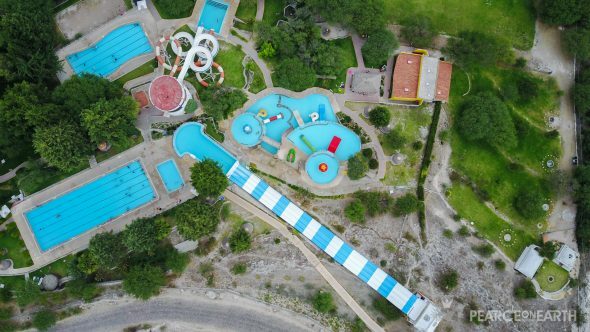 Xote is built around hot springs so all the water is warm, and there are a variety of fun slides to play on. The kids had a blast. And it was great to hang out with old friends as well as meet a few new families. 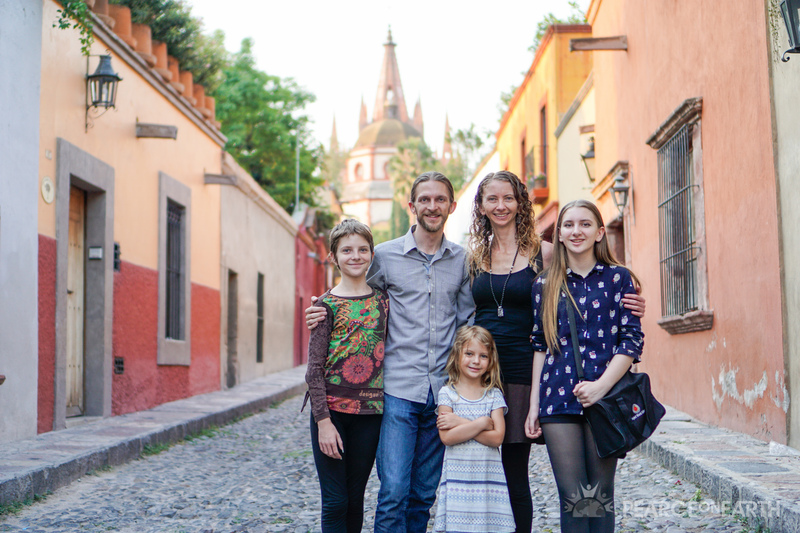 It’s amazing to me how much this traveling family movement is growing. Some cities like San Miguel and Ubud have become great hubs for worldschoolers. While we enjoy meeting people from every walk of life, it’s especially comforting to meet people who really “get” our lifestyle choices and can understand our joys and frustrations at a deeper level. 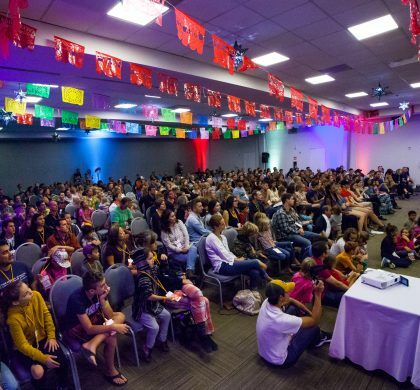 It makes me even more excited to facilitate more of this at the Family Adventure Summit this September! Lesson: I’m so grateful for good friends, and a supportive community that demonstrates understanding and caring. Do you feel supported in your lifestyle choices or in the choices you want to make? If not, who can you seek out to receive that support from? 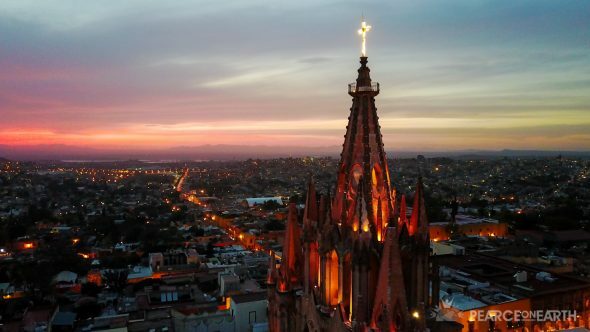 I hope this gives you an understanding of why we like San Miguel De Allende so much! To hear more about our time in SMA as well as our time traveling the world, sign up to get my free Weekly NOW email series delivered to your inbox! 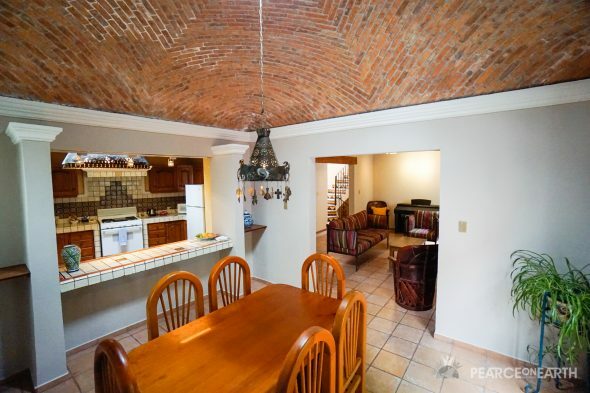 Hi there- we are in the process of purchasing a home in San Miguel. Can you share the name of your property management company, please? Your photos are beautiful, by the way. Glad to hear you are settling in well. Wonderful! Let us know where you end up! We’ve been working with SMA Home Solutions, but there are a number of property management companies in town.